Tsageri – city surrounded by mountains that hold skies. Mountain rivers, fresh air, good water and astonishing sights. Tsageri is nice and quiet place to escape from daily city rush. There are no noisy clubs and mad racers here, just high mountains covered with starry sky, soft river noise and refreshing cool air. It is a place to visit if you like to travel, make photo pictures, love history and vinery. To go through Tsqaltubo and Gelaveri mountain pass. This way you can see Rachkha waterfall and mountain Khvamli. Take a road through Tvishi canyon and Orbeli mountain pass. This way you can visit vinery villages, take a swim in Lajanuri river or visit Lashichala resort. From here you can travel to Svanetia. 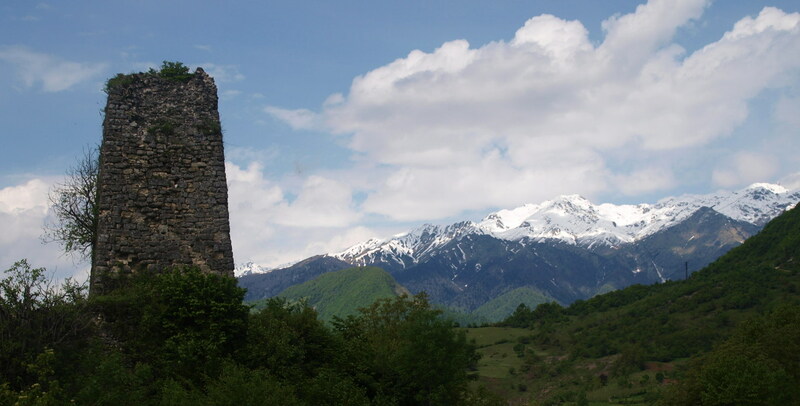 For your information, there are two regions of Svaneti: lower – Lentekhi and upper Mestia. Mestia is central place for tourism, ski resort and sights. There is also regular air communication between Mestia and capital Tbilisi. 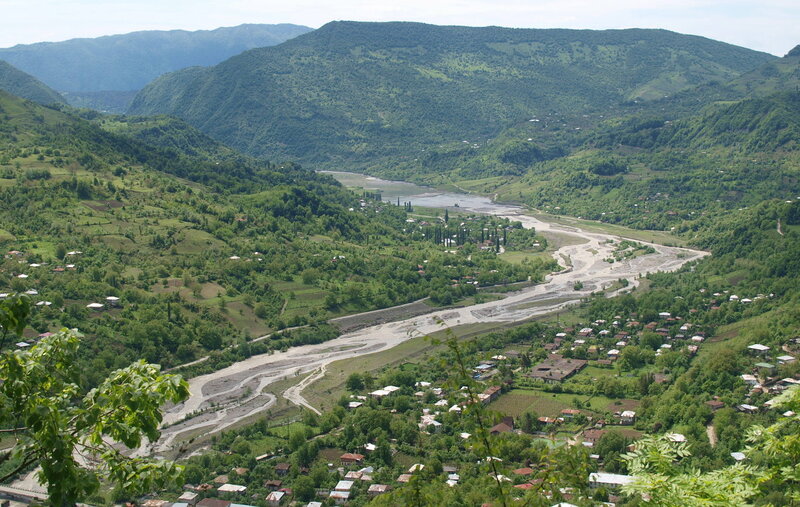 If you are backpacking then you can take shuttle bus from Kutaisi. There is a shuttle bus deport behind Grand Mall at central Kechi marketplace. You can also rent a car. What to see in Tsageri. There are a lot of ancient watch towers surrounding Tsageri. There is also a fortress that is on top of Orbeli mountain pass. When you get to hight point of mountain pass there you can get pictures that are hard to overestimate. You can see whole canyon of Tskhenistskali (horse water) river on one side, and whole Lajanuri river canyon on other side. Road that goes up is very picturesque. there is a very dense for in rainy weather. In small village there is lesser chance to find fuel station or tire service.